"Easy, easy, easy! This has been a long time family favorite and can easily be doubled. The kids love it! Great for busy days; prepare in the late morning and enjoy at dinnertime." Combine in slow cooker: evaporated milk, paprika, salt, egg, butter and cheese; stir. Cook on high for 1 hour. 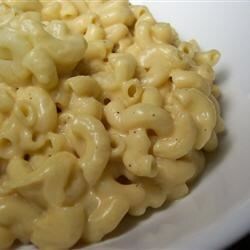 Stir cooked macaroni into cheese sauce, reduce temperature to low and cook for 3 to 5 hours. "YUM" I made this for a carry-in and my co-workers loved it. They have asked me to bring it back numerous times. Some have asked for the recipe for their own get togethers.